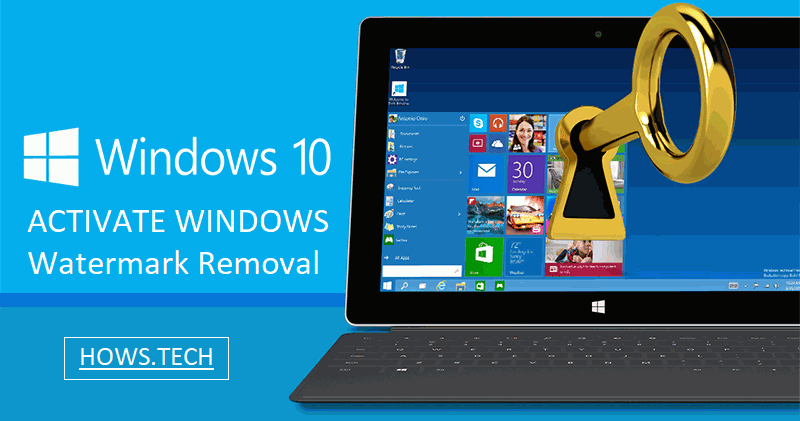 This guide describes How to remove activate windows watermark in windows 10 PC screen. This is a pretty simple process through which you can disable Auto-activation feature in Windows 10, Windows 8.1 Windows 8 and also Windows 7. You never will have to see the Activate Windows dialog again. Windows Activation is a process that helps you to activate Windows, and validate that your copy of Windows is genuine. Windows 10 has got several states of Windows Activation stages to differentiate the level of access to the user. Licensed : You see this status after a successful activation. Initial Grace Period : This is the state after you have installed Windows, but have not activated it yet. You will be notified to activate, or Windows will attempt to activate it online automatically. Additional Grace Period : If significant hardware modifications are made to your computer, Windows may prompt you to reactivate Windows. Notification Period : Once the grace period expires, you will see a message that Activation is required. Non-Genuine Grace Period : You may see this after Windows Genuine Advantage has determined that your Windows copy is not genuine. Unlicensed : This appears for unlicensed copies. The Automatic Activation feature has been included by Microsoft in the Windows operating systems to make it easier for the user to get his copy of Windows activated easily. 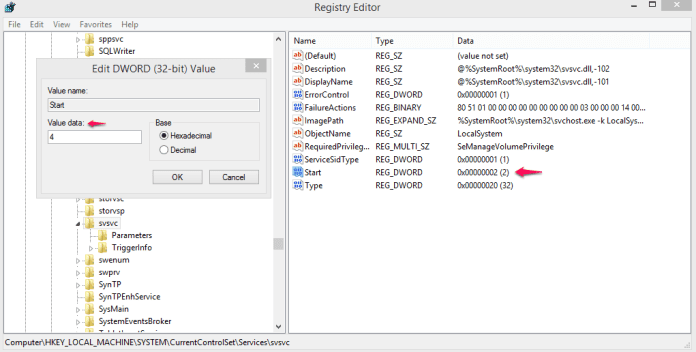 But for some reason, if you wish, you can disable the feature, by editing the Windows Registry Editor. Now let’s see How To Remove Activate Windows Watermark In Windows 10 do so step by step. Before You move ahead, See this video. Now in /svsvc/ modify the Start option, See svsvc options more in details and its use at the bottom of the article. Edit the Value Data by 4. Testers of the beta versions of Microsoft Windows' operating systems may notice a small watermark in the lower right-hand corner of the desktop above the Taskbar. This watermark simply displays the beta build version of the system. If you prefer to run a beta version of Windows rather than purchasing the official release, you may want to remove this watermark. You can do so by making a change in one of the Windows registry entries. Let's look at the guide now on How To Remove Activate Windows Watermark In Windows 10. 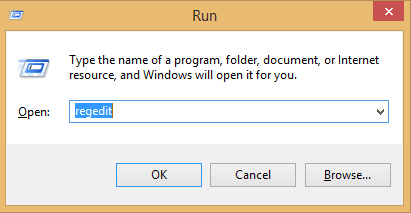 Launch regedit by going to the Start menu and clicking on "Run." 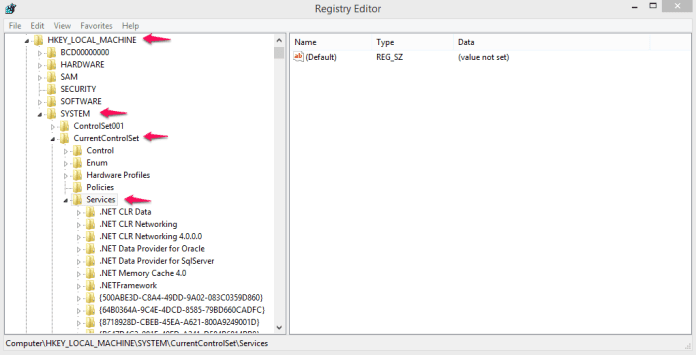 Type "regedit" in the field and click "OK." RegEdit is nothing but Registry Editor Program which allows you to see and alter the registry values store for any application. This includes System Applications as well. Expand "My Computer" in the left-hand window. Expand "HKEY_CURRENT_USER." Expand "Control Panel." Click on the "Desktop" folder. You must get these options at the left side of REGEDIT tool (Left Pane). Now Look at the right side Pane and locate PaintDesktopVersion. Open the value "PaintDesktopVersion" by double-clicking on it in the right-hand window. This key can also be used in Visualization System of Windows 10 to show or hide which VM is being used. Change the "1" to a "0" in the "Value Data" field, and click "OK." Value 1 will show the watermark on windows and it is the actual reason of frustration. Make it 0 and disable it from showing up. Close regedit and any other programs and restart your computer. The sytem has to get restarted because the changes are not going to take into effect unless you reboot t manually. 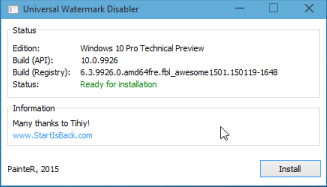 Download Universal Watermark Disabler and remove watermark in Windows 10 and Windows 8. PainteR has created a app called Universal Watermark Disabler. It can clean up your Desktop by completely removing activate windows watermarks from it in Windows 10, Windows 8.1 and Windows 8. It is a free app. Let's see how Universal Watermark Disabler works for Removing the "Activate Windows Watermark" on Windows 10. The application comes with an installer, which will set it up in your OS. To get rid of the watermark on the Desktop, you need to follow the instructions below. As an example, I will use Windows 10 build 9926, the latest public build. 1. 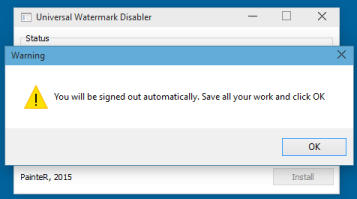 Download Universal Watermark Disabler from its download page. 2. Run and confirm the UAC prompt. 3. Here is the main window of the Universal Watermark Disabler app. Save all opened documents and click the Install button. You will be signed out automatically, and Explorer will be closed. 4. The next time you sign in, you will not get the watermark on the Desktop. Getting rid of desktop watermarks is simply clicking the Install button followed by Yes. 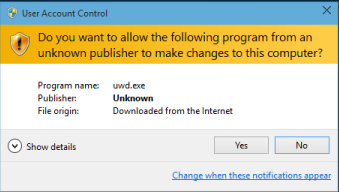 Universal Watermark Disabler has been tested with earlier versions of Windows 10 by the manufacturer. You must confirm that you are happy to use it in version 10525 by clicking Yes, you can be sure that it works perfectly. You may notice that your screen is blinking when you restart Explorer. You will be asked to make a backup copy of the files you have opened because the tool should leave your account. Make sure everything is saved and click OK. All the credits to codify this application in Painter. I hope you all are well known about How To Remove Activate Windows Watermark In Windows 10. SVSVC stands for Spot Verifier (svsvc) which verifies all the Windws 10 System corruptions. Spot Verifier is a Win32 service. In Windows 10, it only starts if other users, applications or services start it. When the Spot Verifier service starts, it runs as LocalSystem in the process with svchost.exe with other services. If the Spot Checker does not start, the details of the failure are recorded in the event log. Then, Windows 10 will start and inform the user that the svsvc service could not start due to an error. 1. Run the command prompt as administrator. The svsvc service uses the svsvc.dll file located in the% WinDir% \ system32 folder. If the file is modified, damaged or deleted, you can restore the original version of the Windows 10 installation media. Still Watermark is not gone? Have you found a way to permanently remove Windows watermarks from your computer screen? Here is the solution. Our Windows Suite team has a solution to remove the watermark "Activate Windows: access settings to activate Windows" on the right side of the screen. This activates Windows errors that indicate activating your version of Windows 10/8/7. If you have an original Windows product key, you can activate Windows immediately. But what happens if you have not validated the Windows product key yet and want to remove the Windows watermark enabled? In this article, we should try to cover all possible methods to remove the watermark from Windows 10 without the product key and the product key. Currently, most new laptops come with pre-installed windows with activation. But Windows Enable errors usually appear when you download a Windows ISO file from any Internet site or when you install a copy of Windows. Sometimes Windows Watermark activation occurs when you reinstall Windows or upgrade from Windows 7 to Windows 10. You can permanently delete Windows Activate with legitimate methods and invalid methods. There are lot many 3rd party utilities available out there on internet. You can also use an original purchased Windows key to permanently remove the Windows 2019 watermark. Windows is the number one operating system most used by computers and laptops. And it continues more and more. Genuine Windows products cost money. This activates Windows using Notepad, which is the easiest way to remove Windows 10 Enable watermark. This method does not require any product or software key to activate Windows 10 from your desktop. Open your PC's Notepad by clicking on the Start menu or by looking for Cortona and opening it. Now type the following command in Notepad. 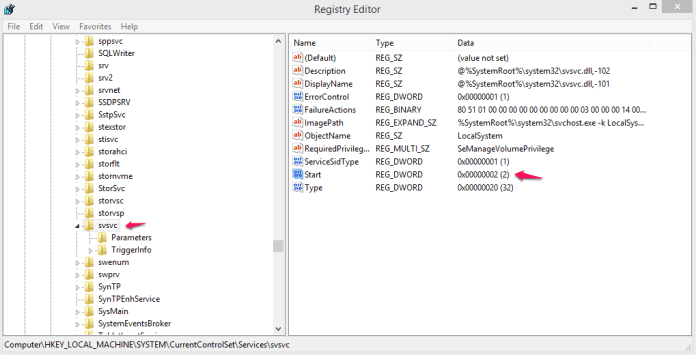 Windows 10 removes watermarks from the registry: there are several ways to remove watermarks from Windows 10, and as easily as possible when editing your registry. Remove watermark in Windows 10 test mode: Many users use the test Mode of Windows 10, but this mode also has a watermark in the test mode at the bottom. However, you can easily remove a watermark using one of our solutions. 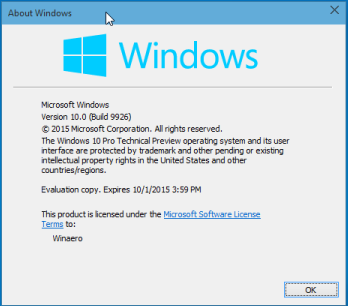 Remove Watermark Windows Education, General technical description: If you are using an Education version or a technical preview of Windows 10, you should be able to remove the watermark with one of our solutions. Our Windows Suite experts have discovered that you can only remove Windows watermarks by editing the log file. Follow the steps to activate Windows. The registration method to activate Windows. Now that the registration window appears on the screen, try searching for Computer HKEY_CURRENT_USERC in the Control Panel on the right side of the panel. Right click on it and select Open with the version of Paint Desktop. Now set the value data to 0, click OK and save. Now check on your computer screen to activate windows with watermark will be deleted. We have shared many methods by applying the method of your choice to activate your Windows 10. With the help of the Windows activation key, you can easily remove the watermark from the activation window. Microsoft sells Windows 10 with CD and product keys on the site. With the CD, the activation key is printed behind the cover. And if you buy a key, you can download the Windows 10 operating system from anywhere and activate it. This is how to remove Activate Windows Watermark using the activation key. Click on Cortona, then type "System Properties" and open it. Now, try to find Windows activation, then click OK.
Double-click now on the Change Windows Product section. If the system wants the administrator's username and password, enter it. Now, in the Product key section, enter the Windows password you have and click OK.
Then follow the Windows System Activation Wizard to activate Windows and remove the watermarks. After activating Windows, you will no longer be able to see the activation of the Windows watermark on your screen. So, in this article, we have resolved how to remove the Windows watermark from the screen. If you are still facing Windows, activate it on the screen and comment below, our Windows Suite team will contact you immediately to help you solve your problem. See this article with your friends and family who use Microsoft Windows.